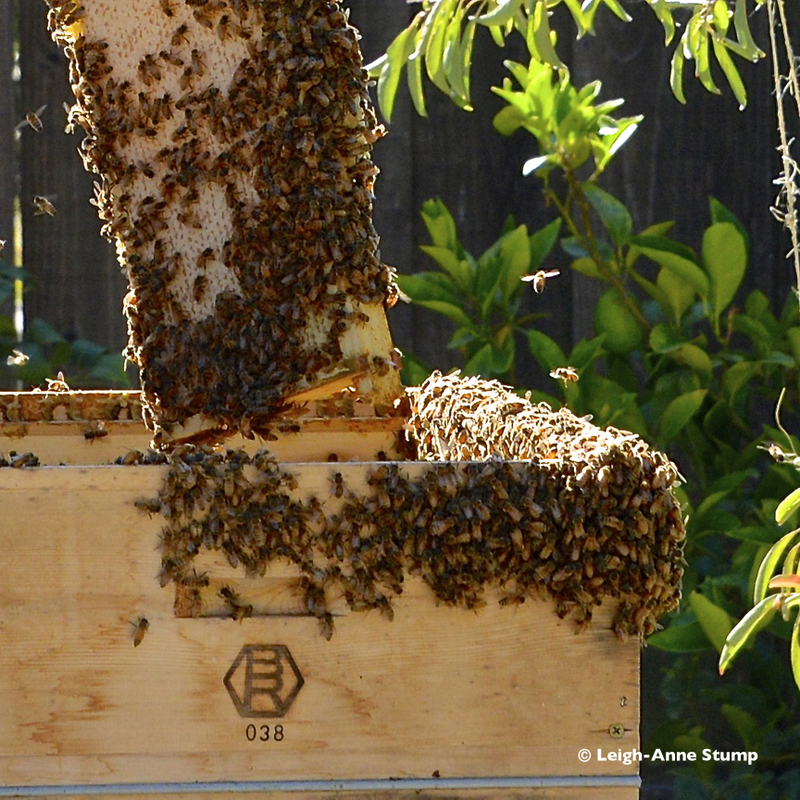 Houston we have capped honey! Some of you may remember the last “Hive Dairy” where I expressed my excitement at the fact that I’d have honey very soon. That was back on June 27th! Well mother nature and certainly Honeybees work in mysterious ways and can’t always be counted on to deliver the goods when you might predict they will. So (8) weeks later and we have confirmation that our Honeybees are in the Super and capping pure honey. 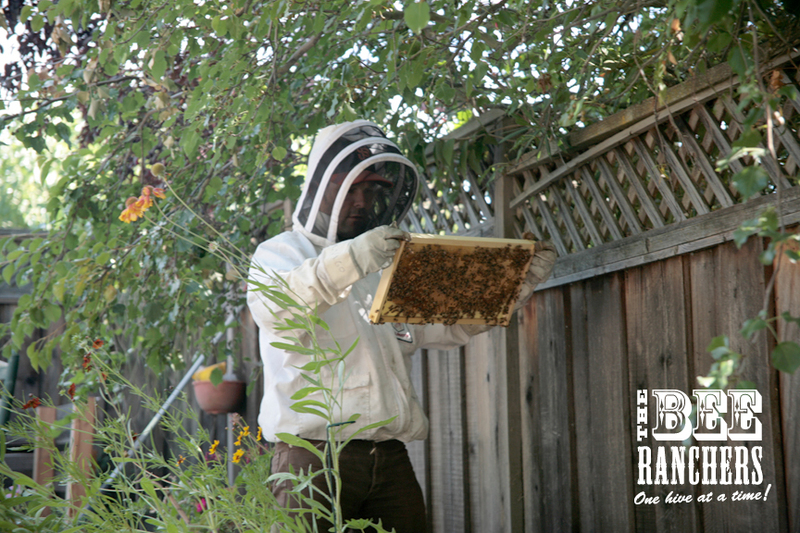 Mike, Ranch Foreman, came by to check the hive last week and said that almost half of our frames were drawn out with capped honey! This is great news. And I should have known as I was beginning to get very strong wafts of honey when near the hive recently – you literally can smell it. So no predictions this time, it is just good to know that our bees are happy healthy and productive. 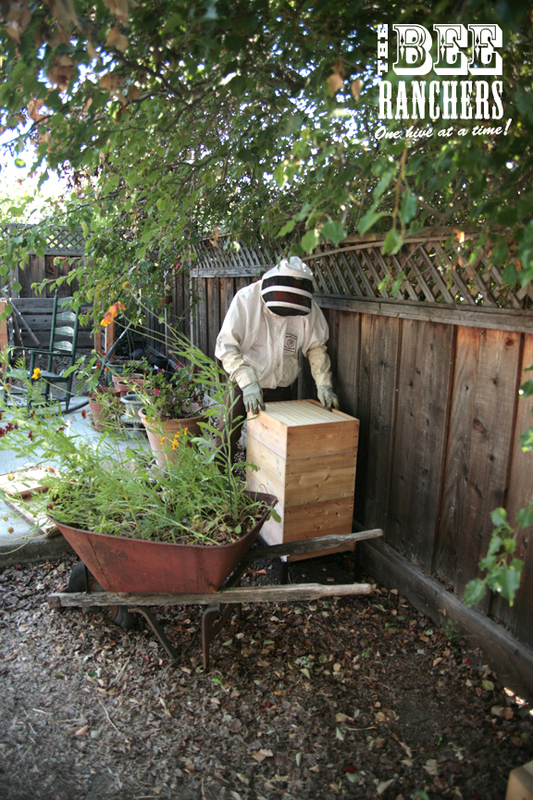 Mike informed me that our hive was the most productive in the Lamorinda area. 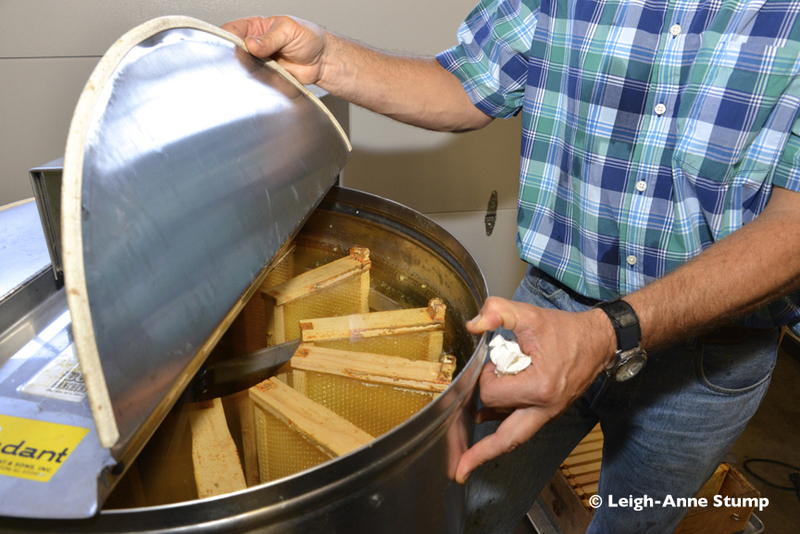 So perhaps we’ll get some jars of honey this season – PERHAPS! 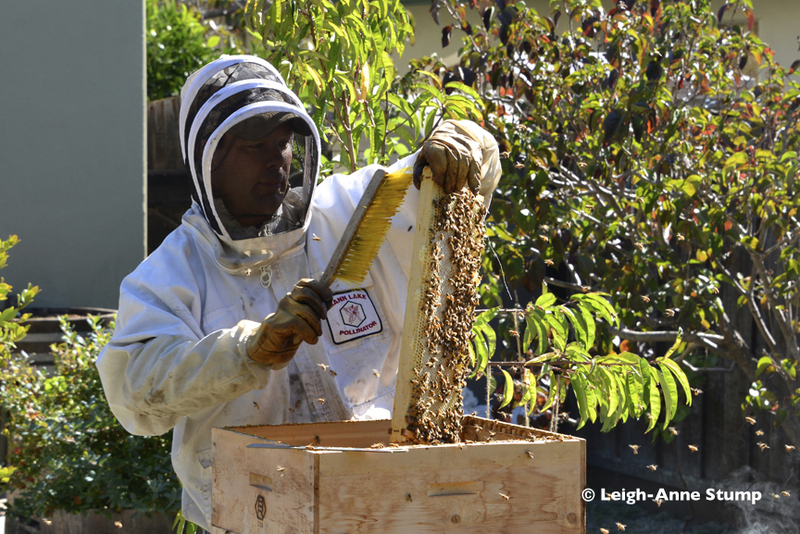 Do you have a hive in the Lamorinda area? How is yours doing? 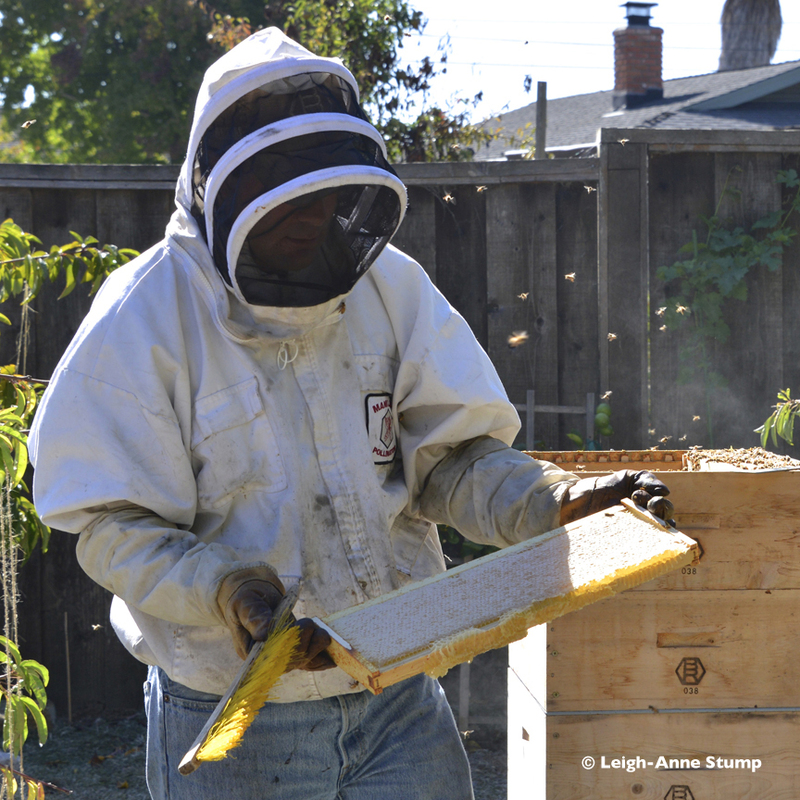 Would be great to hear how other folks / apiarists are doing this season. 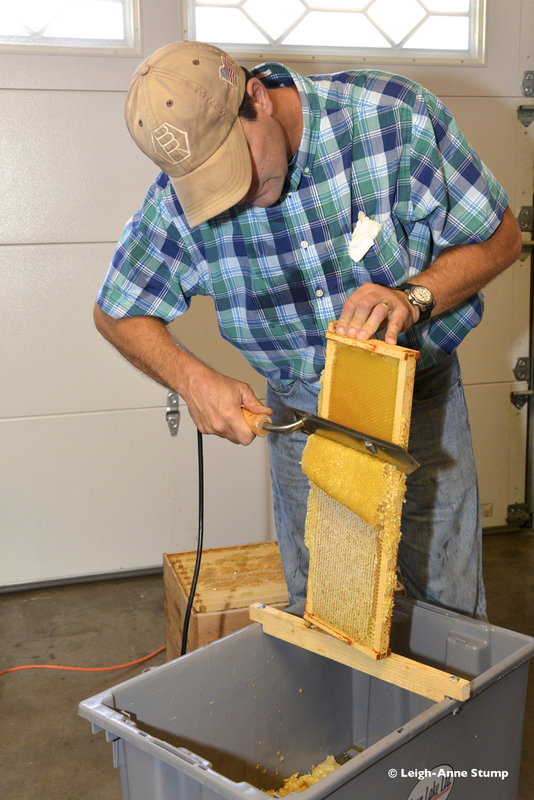 Mike, Ranch Foreman, came by the house late last week to do a check-up and determined that it was time to add the next two components to our thriving hive. He placed on the Queen excluder and the first medium super or “honey super” (Anatomy of a Hive). It is the top box and thin metal sheet you see on the pic below. 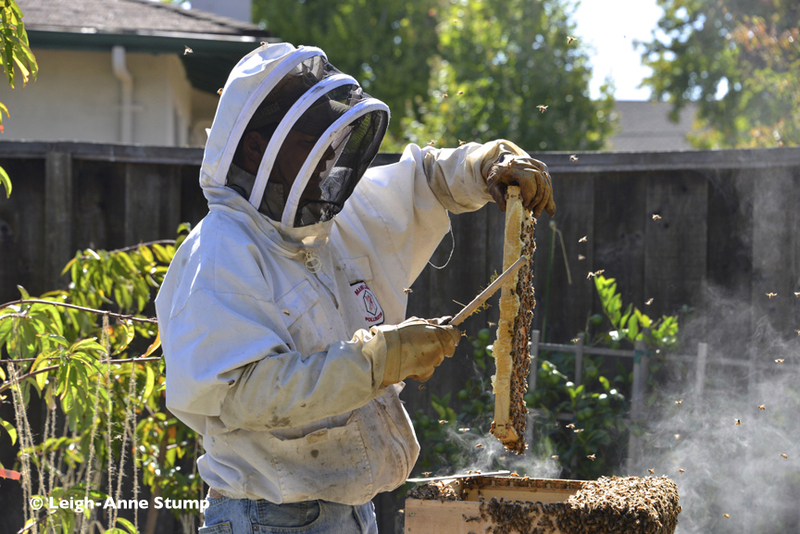 Up to this point the hive has been primarily working to sustain itself through the development of comb, honey and brood. With the addition of the Queen excluder, the honeybees can now travel up into the “honey super” and begin to build comb and make honey. Excluding the Queen from this area means that no brood or larvae will develop just leaving pure comb and honey! Whoooooo-hoooooooo!!! So excited. FIRST > What kind of extraction party do we want to have? After all, this is a very fun and interesting event for those who have never witnessed honey being extracted. Just family? Neighbors? Good friends? Kids from Preschool? 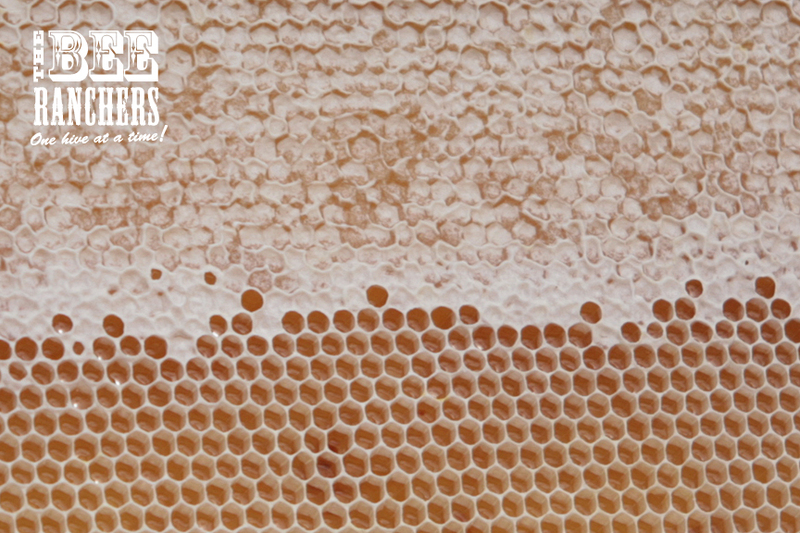 SECOND > What will we call our own honey and what will our label look like? Surely we’ll be passing honey out to friends, family, neighbors, business associates, and we’ll want to come up with our own unique name and label. So far I’m liking the name “PLAFAYEZ GOLD”. More on name and label for a later post. Lots of exciting and sweet things right around the corner!